Super medium size Aquamarine tumble with a soft sea-green colour. 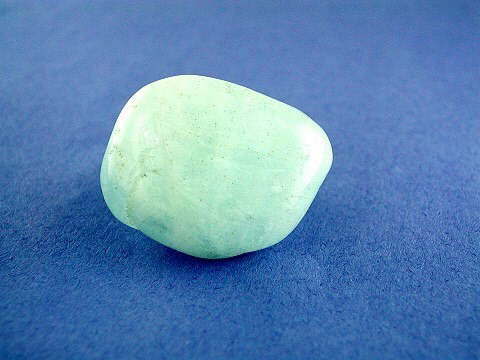 Aquamarine is a beautiful sea-green mineral of the Beryl family. It is known as the Stone of Courage, giving the wearer strength whilst calming and soothing. It has an affinity with sensitive people and sharpens the intuition. It is said that Aquamarine shields the aura whilst also aligning the chakras. This makes it an excellent crystal to use for healing or whilst meditating. In ancient times its protective properties were believed to guard against attack from the dark side! A beautiful stone for any crystal healing collection.